The Museum of Computing in Swindon is a very unique museum. When one thinks of museums they generally think of art galleries but not in this case. Technology let us as a business run. If we didn’t have technology like we do today then basic things like our website that shows the community what Swindon carpet cleaning services we offer wouldn’t exist. So with the way technology has developed over the last 20 years and with how fast it continues to develop technology definitely has a its place in a museum. The museum houses all kinds of technology from desktops, to laptops, to original Apple Mac’s, to very old game consoles, to arcade games, to original calculators and much, much more. The museum opened its doors in 2003 and is a non-for-profit organisation that is run by volunteers. But this museum has a very unique twist that you generally don’t find in museums. 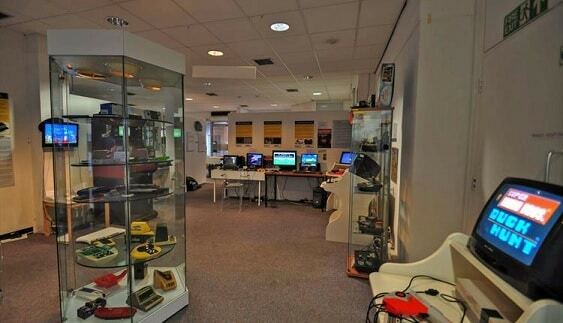 The brilliant thing about the Museum of Computing in Swindon is that the museum is more of a hands on exhibit. Unlike typical museums with paintings on the walls or exhibits covered by glass panels that don’t allow you to touch and feel anything. Do you want to give the original Sonic the Hedgehog or Space Invaders a go? Well you have the opportunity that at the Museum. Do you want to show your kids how lucky they are with today’s technology and show them where it all started with Pong? The kids can play Pong at the Museum. It does not matter if you’re looking to educate your children about the starting days of technology or to bring back some nostalgic memories for yourself. A day out at the Museum is going to be fun regardless. The museum only ever has about 10% of its collection on display at one time. This is to preserve the technology. As the museum is hand wear and tear takes place. So to preserve the old technology for future generations they cycle through what’s on display. Some of the more notable attractions are extremely rare Nintendo Power Glove from 1989 and a science of Science of Cambridge Mark 14 computer which was the very first computer that Sir Clive Sinclair designed. If you would like to visit the museum it is extremely cheap to do so. If you take the family it costs £5. A single adults ticket cost £2 and a children’s tickets costs £1. The museum is open all year round. The museum is non for profit. If you feel like making a donation you can do so on the Museum of Computing’s website. Every little bit counts. You can even claim back your donation on your UK taxes. Looking for our Swindon removals? We can help with all kinds of moving services.